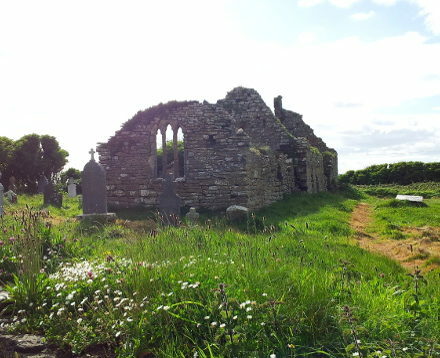 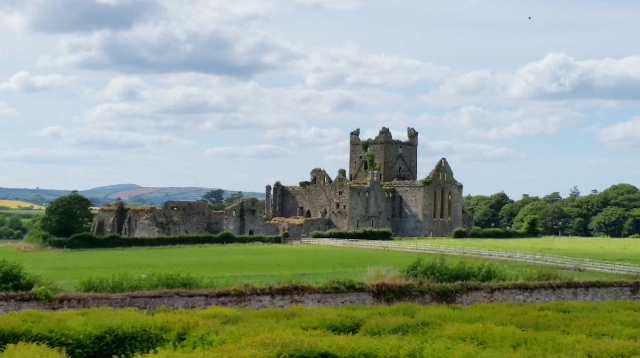 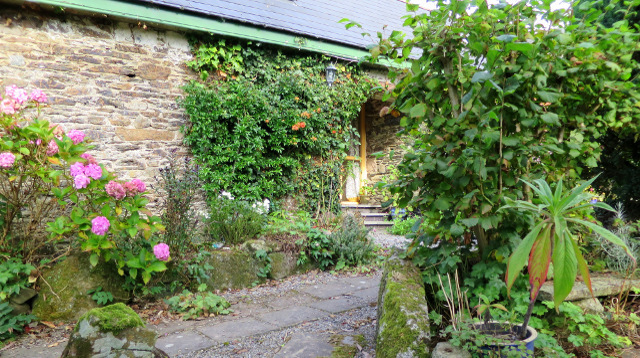 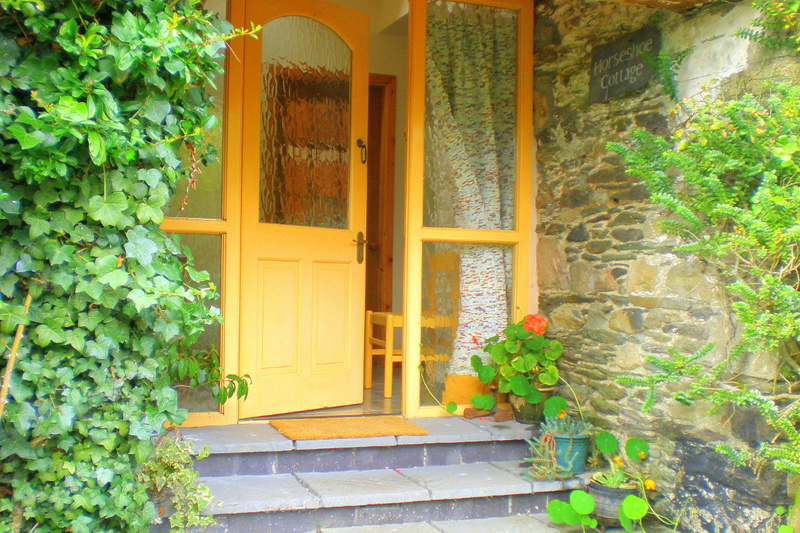 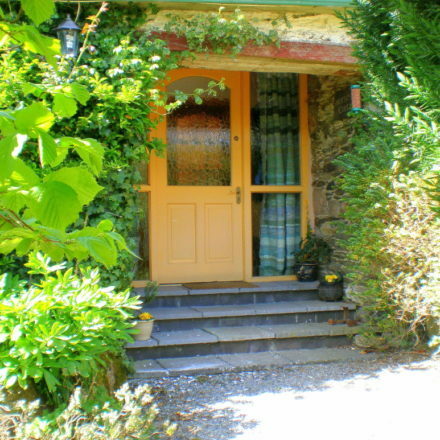 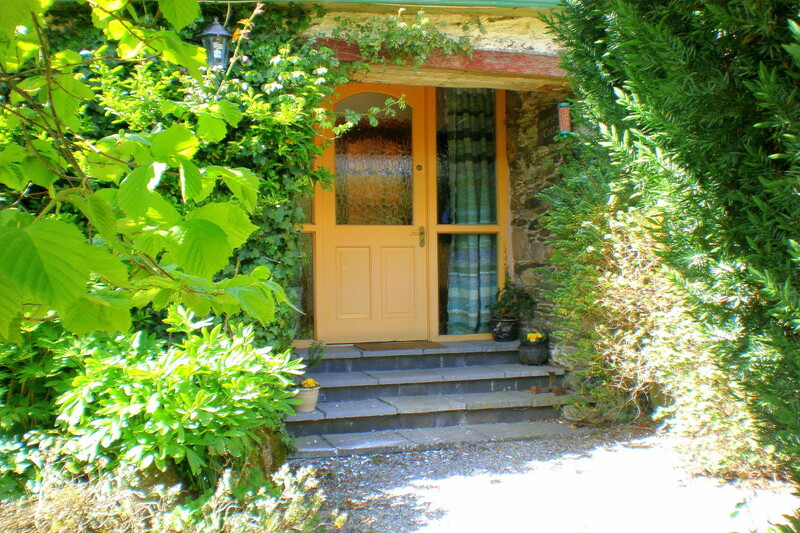 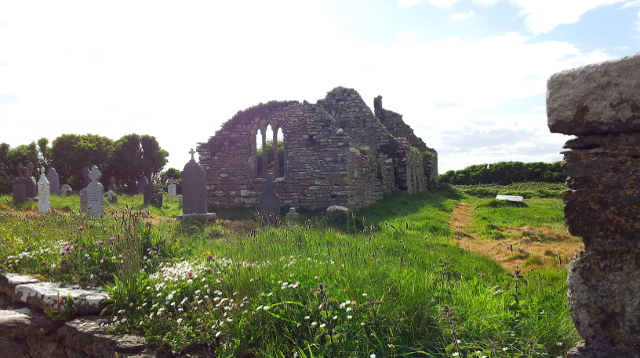 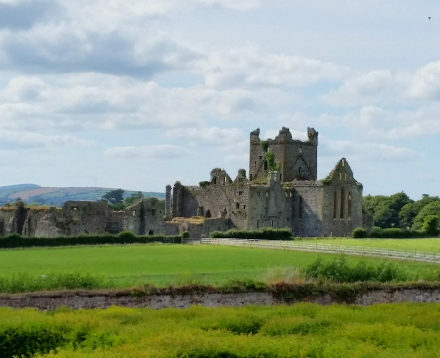 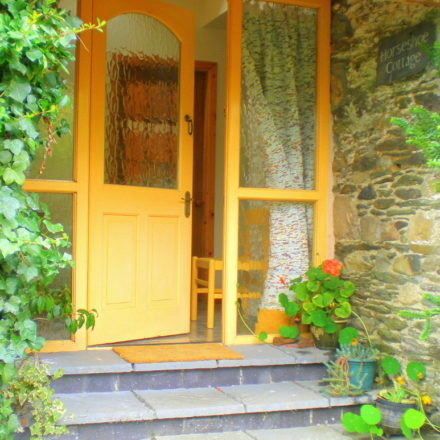 Horseshoe Cottage is a gorgeous, unique stone cottage with 2 bedrooms and 2 bathrooms, a private patio area off the large kitchen, and lovely views of the Irish countryside. 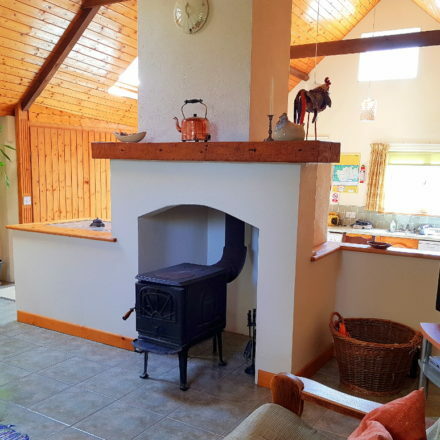 The spacious restored stone stable has a high timbered, beamed ceiling and lots of great traditional features. 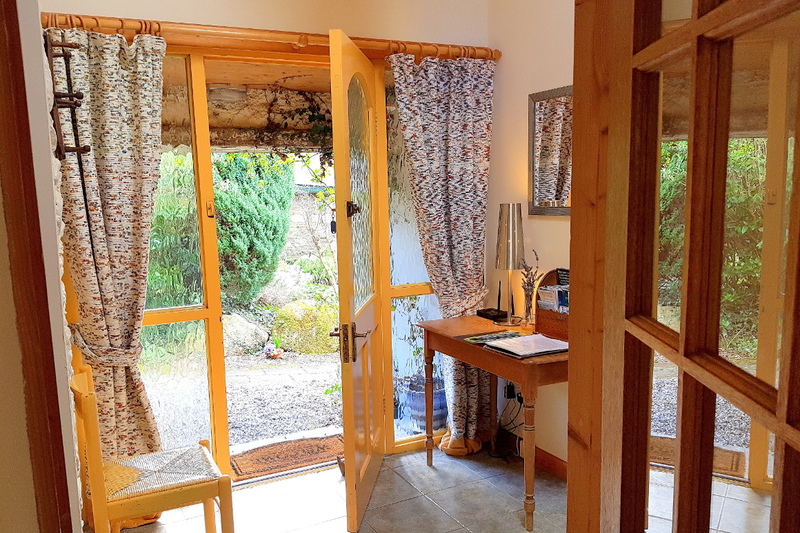 The cottage has its own south-facing private patio with attractive patio furniture, parasol and a BBQ making it perfect for al fresco dining, while its front door opens onto the lovely shared courtyard garden. 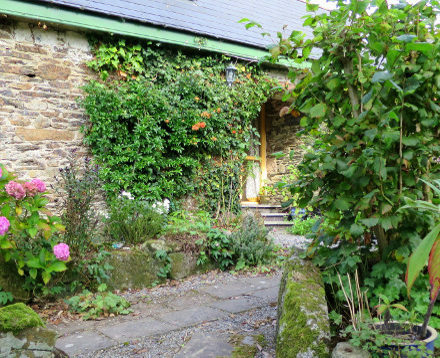 Horseshoe Cottage is a fantastic Two Bedroom Self Catering Cottage that oozes character in every way! 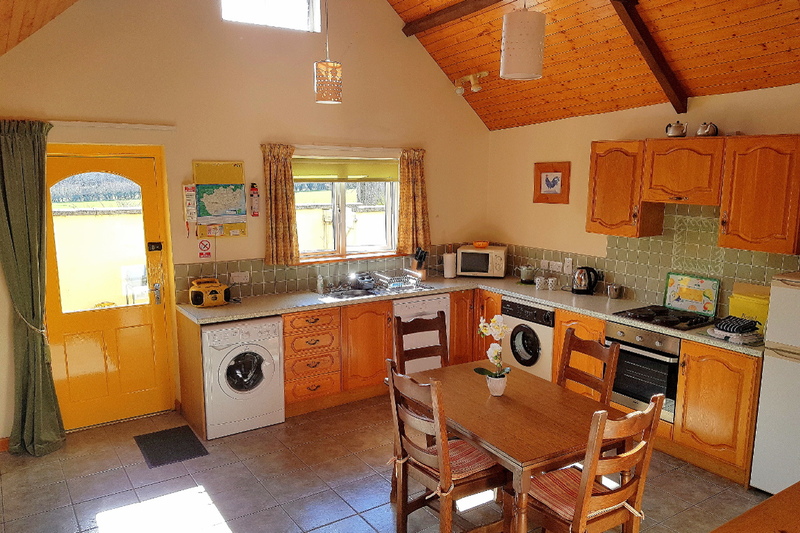 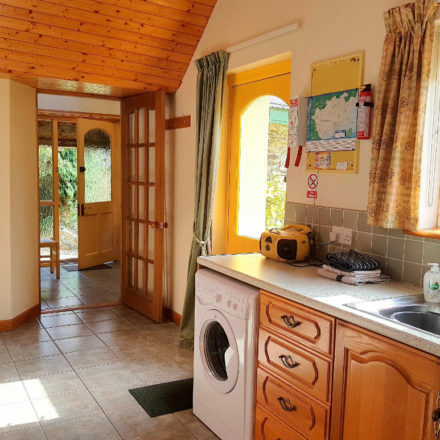 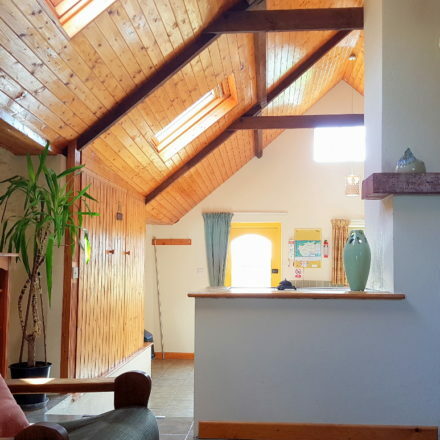 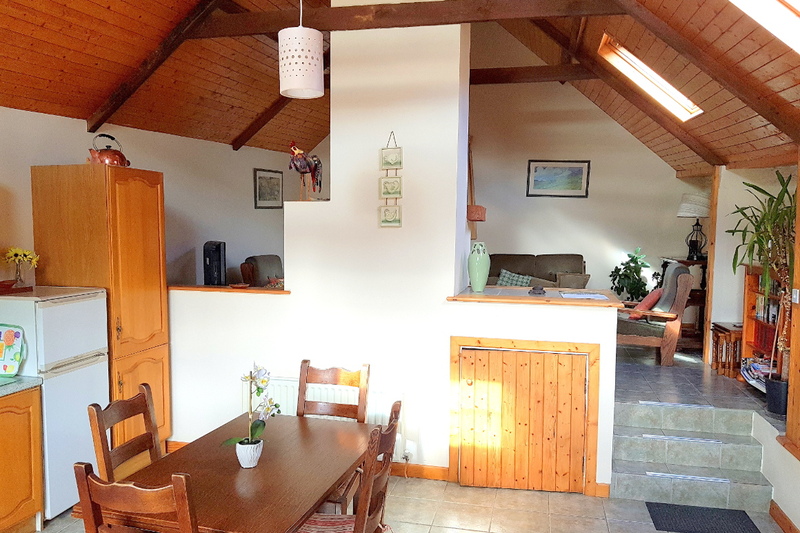 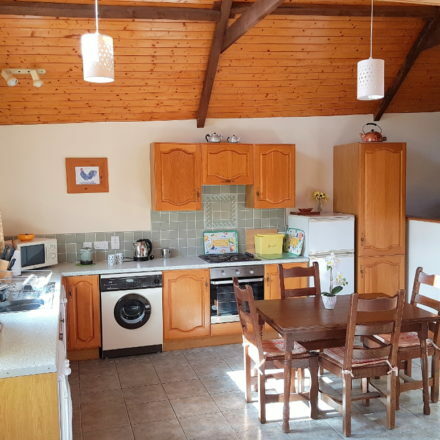 This fabulous bright and airy cottage With 2 bedrooms and 2 bathrooms has natural stone walls, high beamed and timbered ceilings and lots of space. 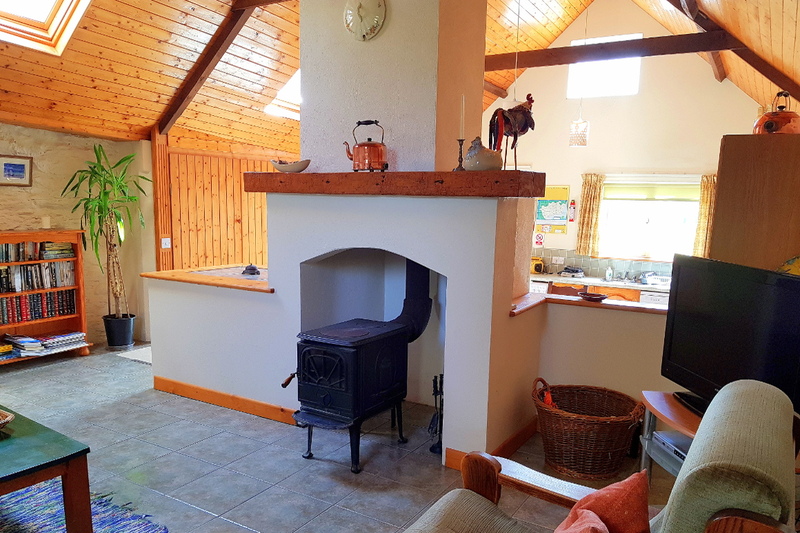 A relaxing lounge area extends beyond the large central chimney feature into a generously sized kitchen/dining area which opens into a private south facing patio. 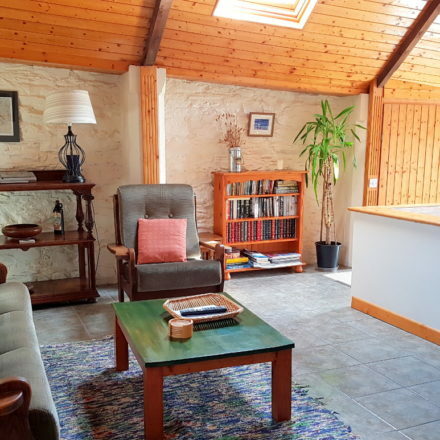 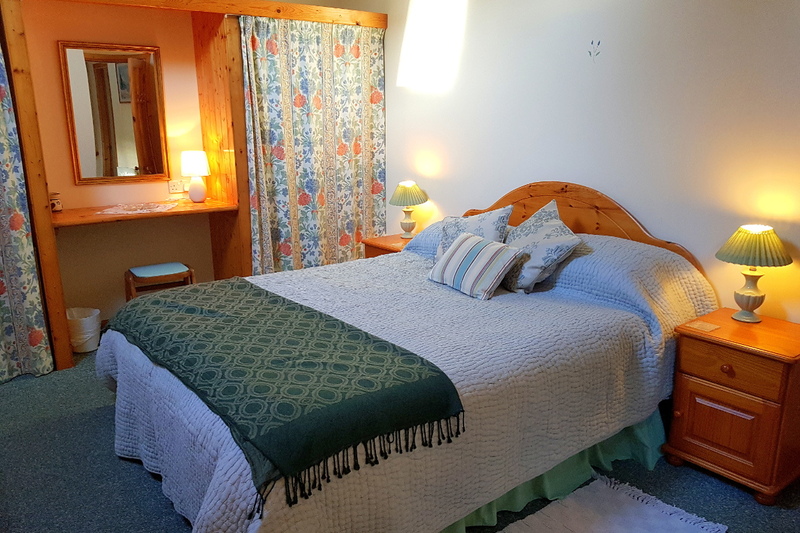 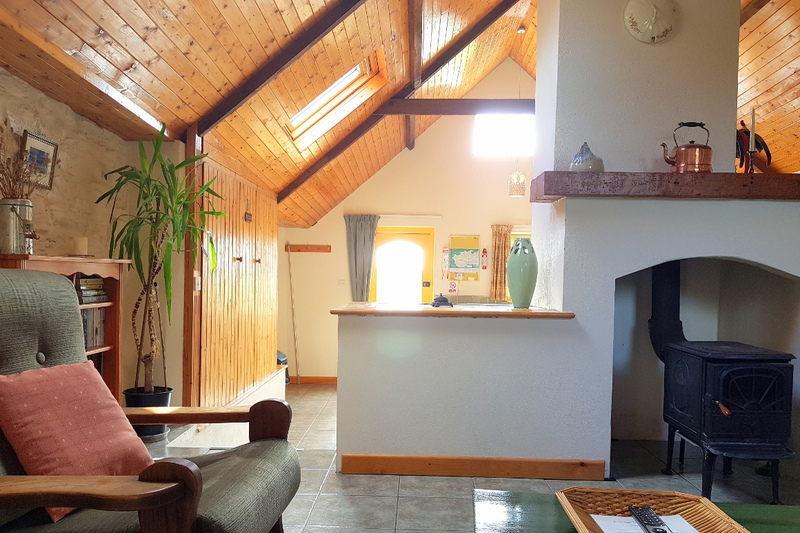 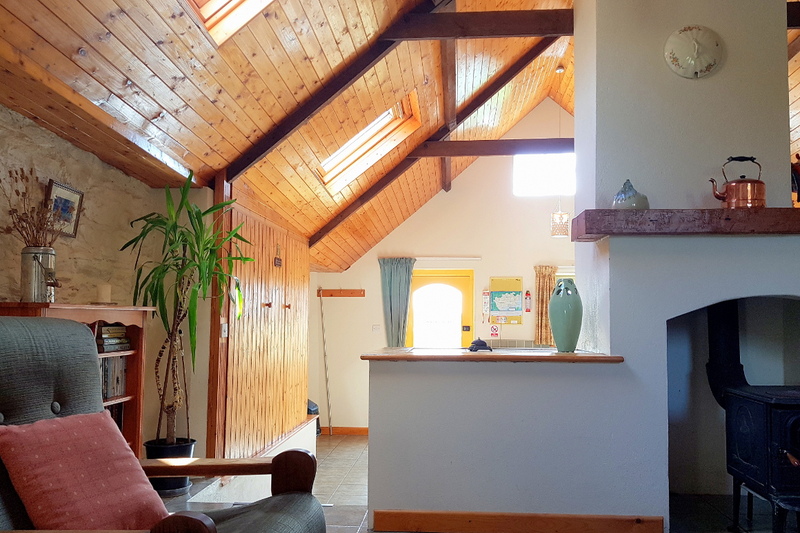 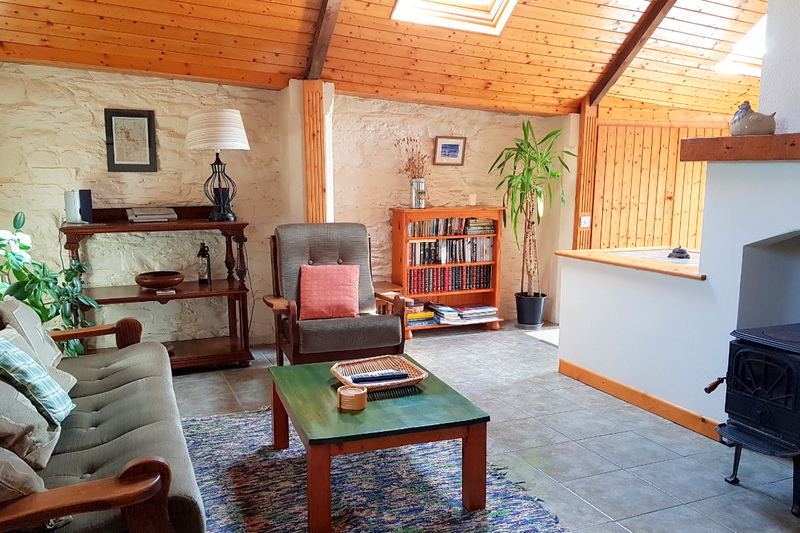 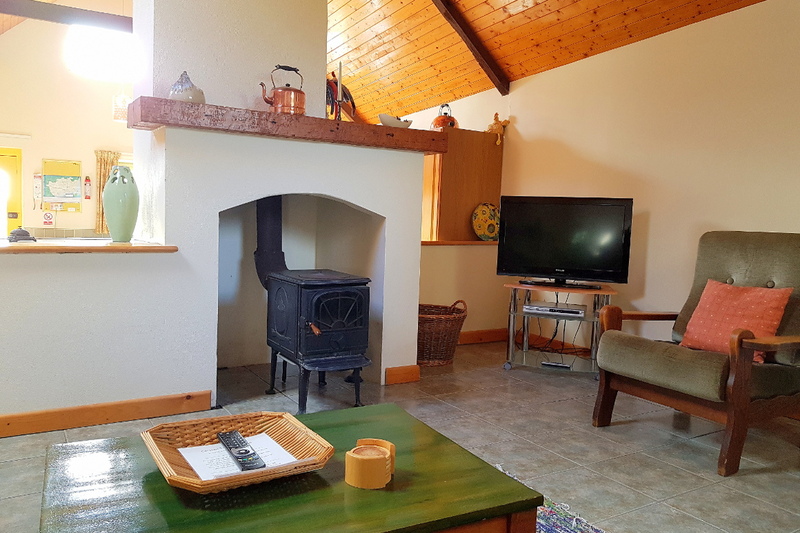 The lounge is furnished with a couch and two chairs, and its well-stocked book case, flat screen TV & DVD, and wood burning stove making it easy to relax, watch a film or read one of the many books in the cottage. 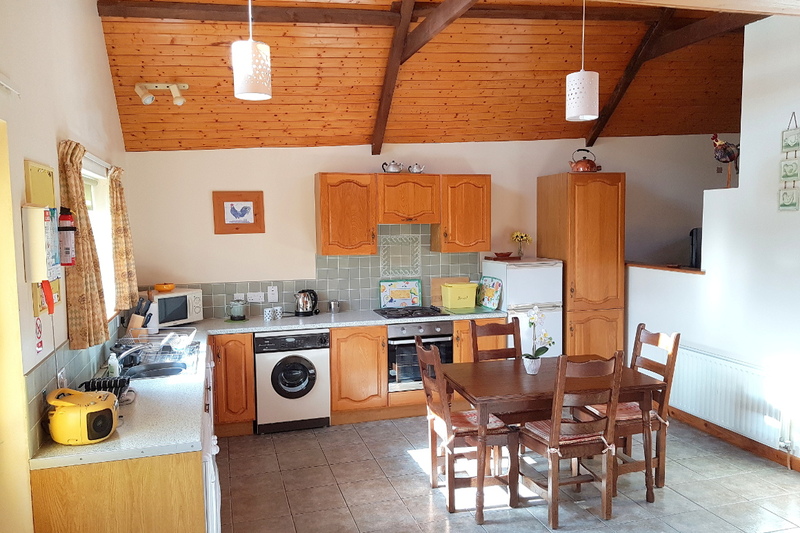 A slight change of level between the lounge and the kitchen/diner adds to the unique character of the cottage, one of the features that people love most about Horseshoe Cottage. 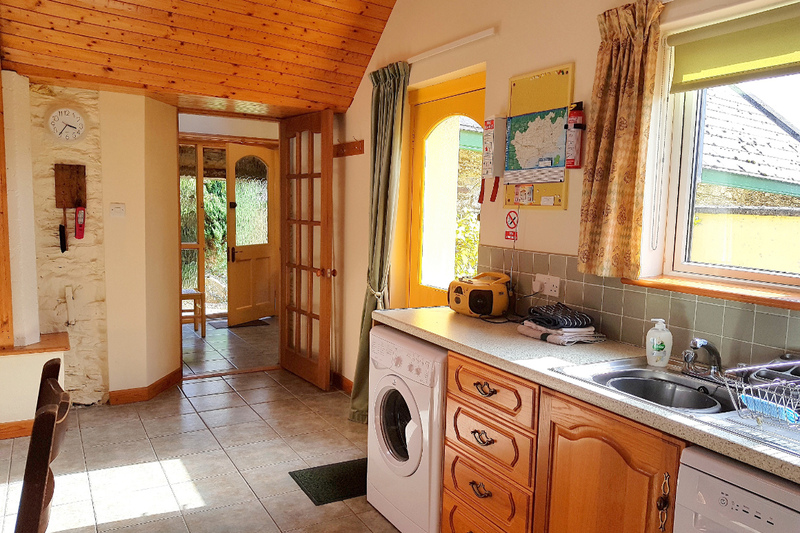 Horseshoe Cottage has a generously sized modern kitchen which is equipped to the highest standards with electric hob and oven, microwave, fridge/freezer, electric kettle, toaster, coffee-maker, dishwasher, washing machine, tumble dryer, iron, ironing board and CD/radio etc and there is a view of the countryside and distant mountains from the kitchen window. 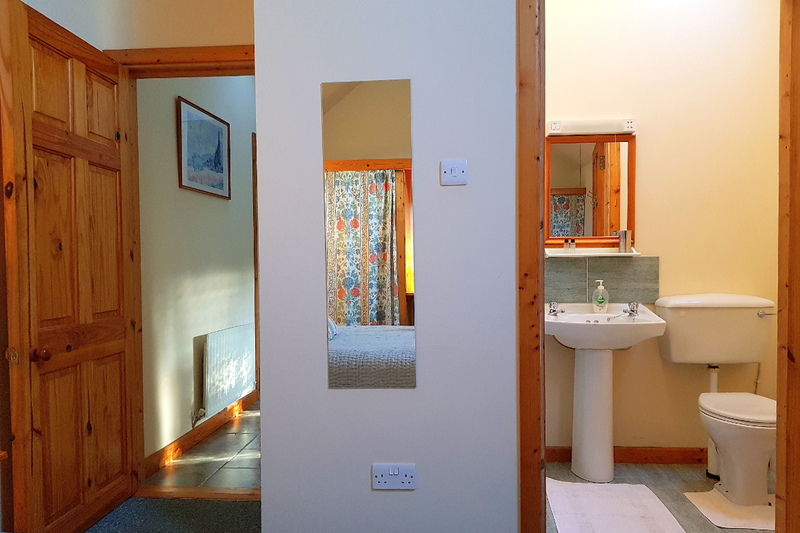 The Master Bedroom has an attractive large 5 ft double bed and en-suite bathroom with shower enclosure, wash basin and toilet. 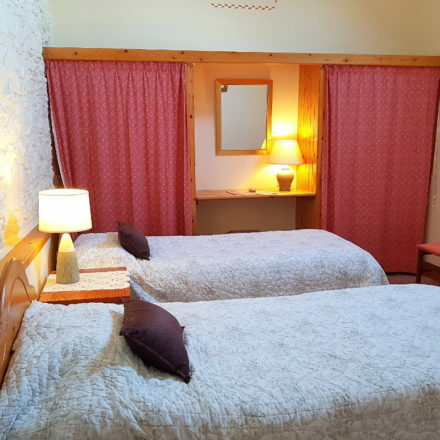 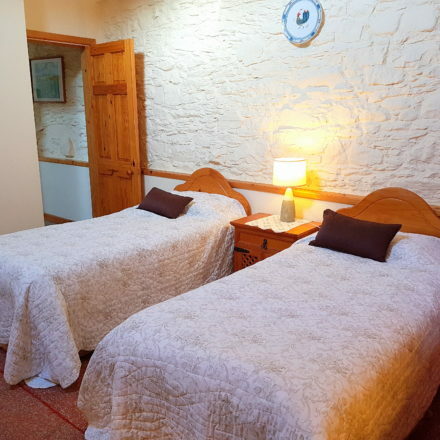 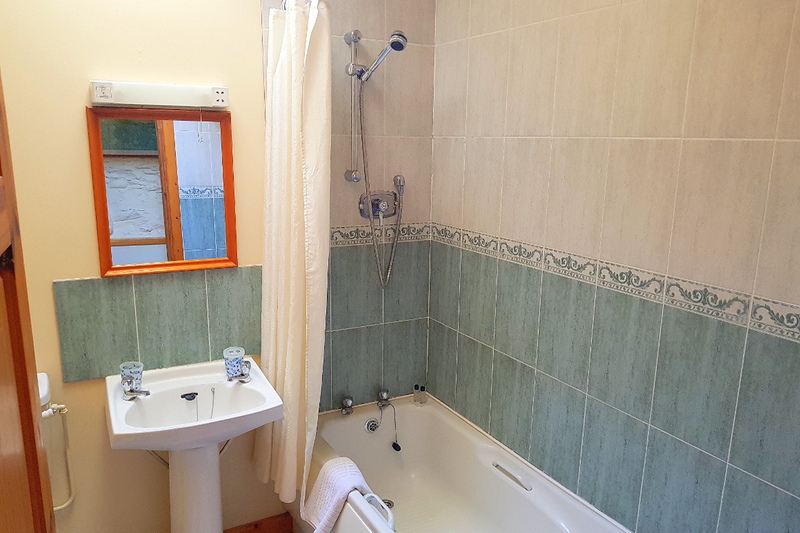 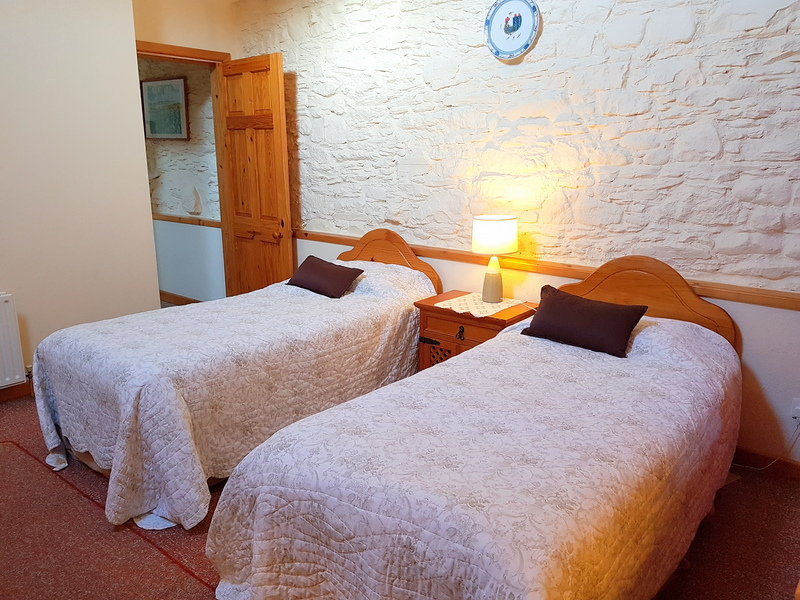 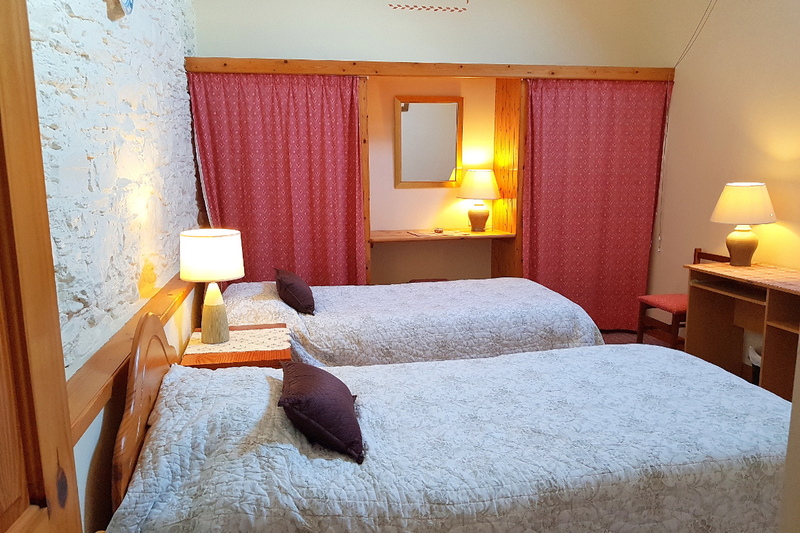 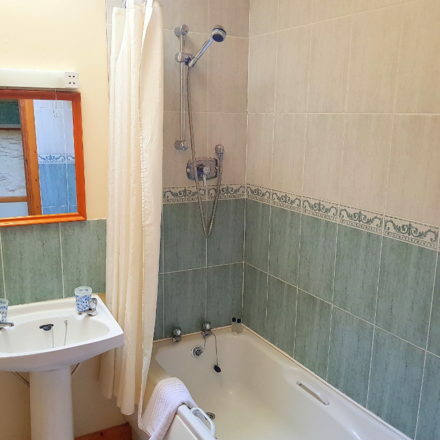 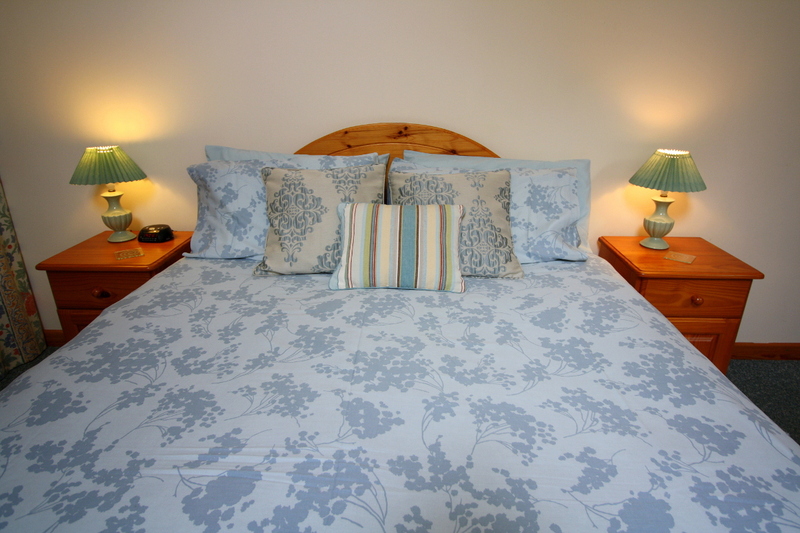 The Twin Bedroom is alongside the main bathroom which has toilet, bath and shower. 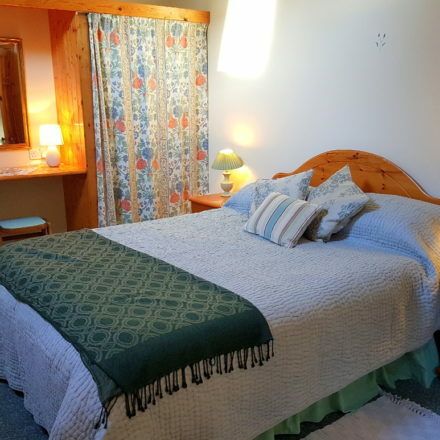 The high ceilings and Velux roof lights in both bedrooms bathe the rooms in natural light, enhancing the pretty hand-painted floral stencils and furnishings. 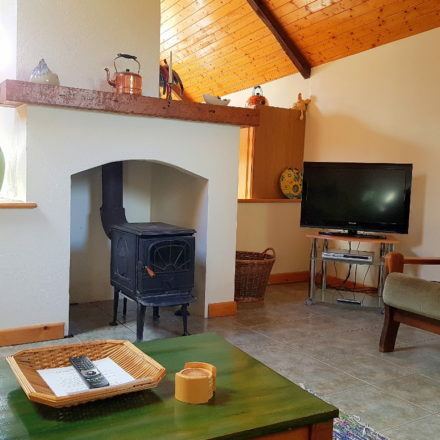 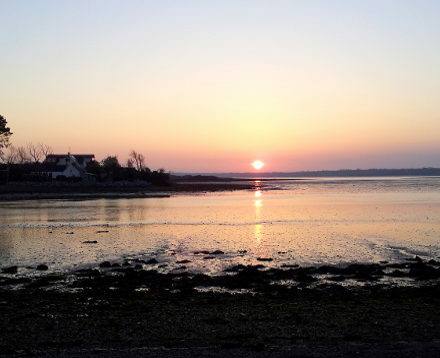 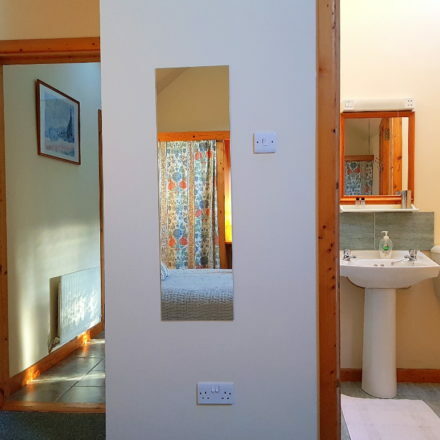 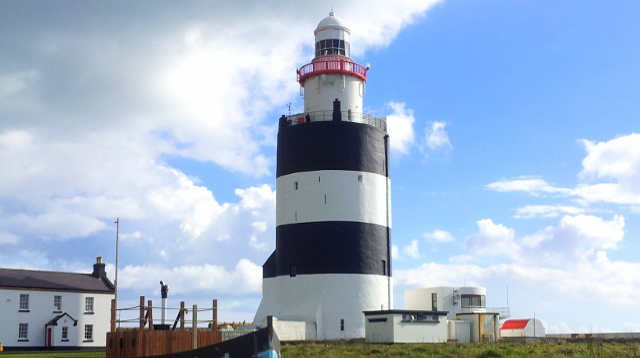 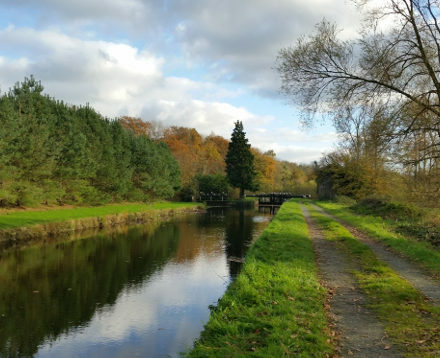 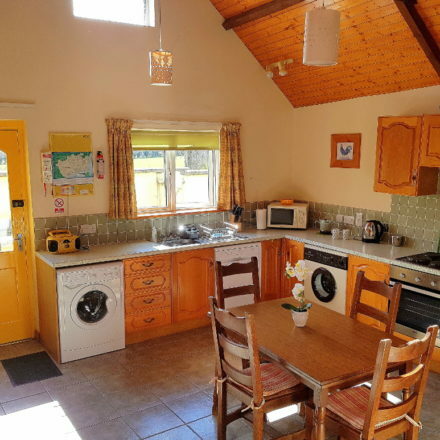 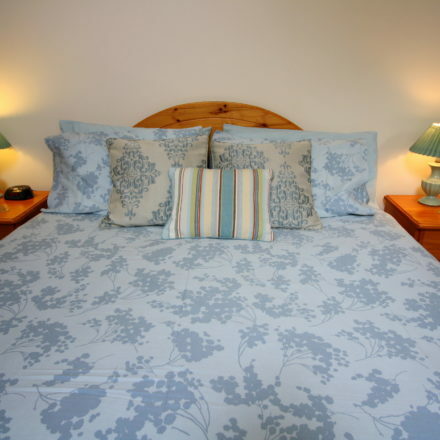 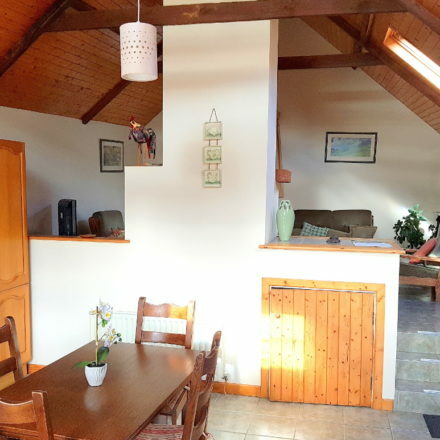 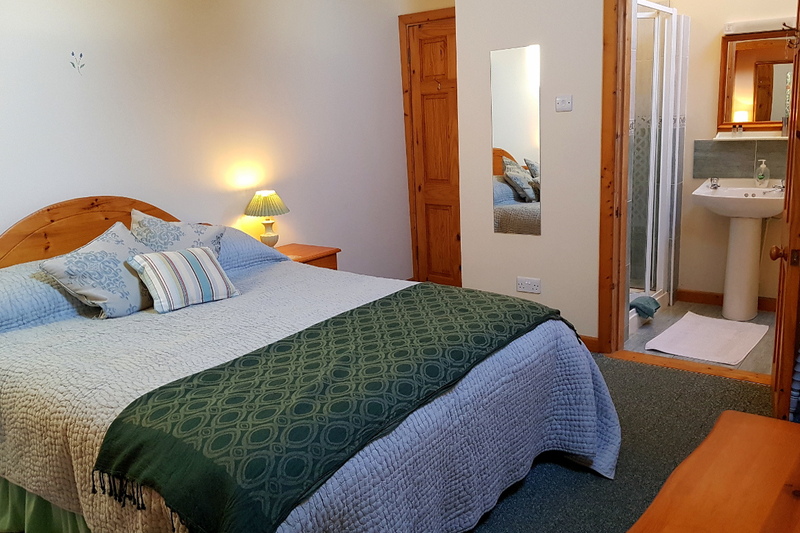 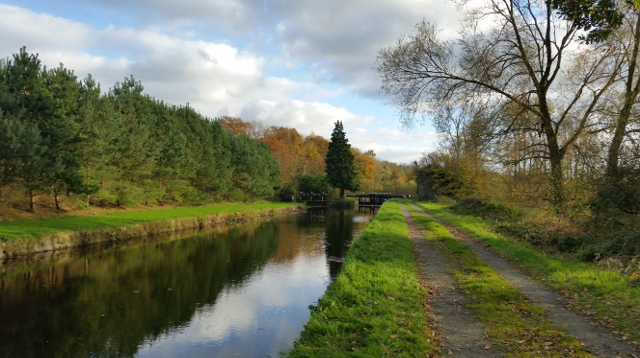 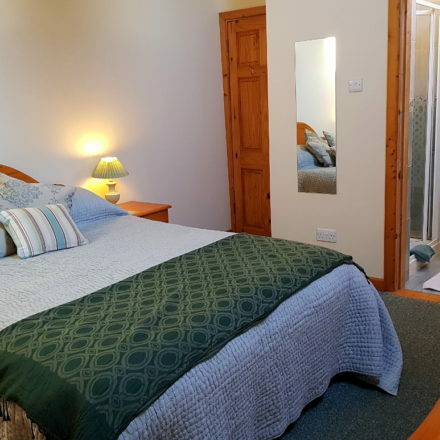 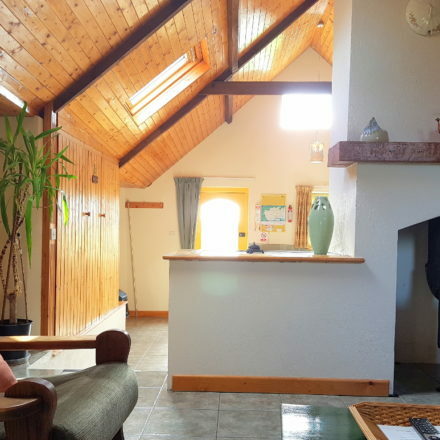 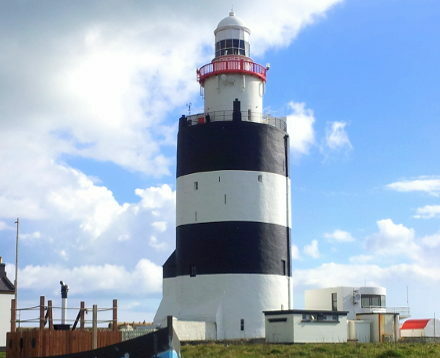 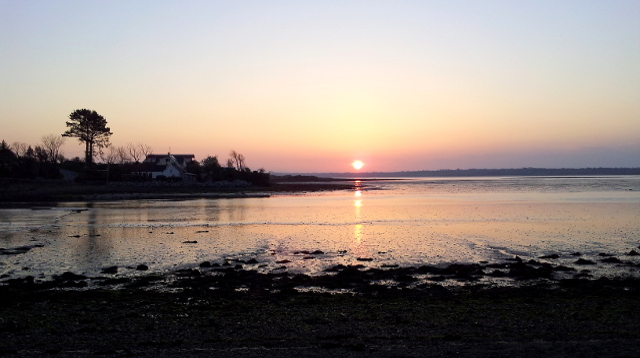 Horseshoe Cottage has a large flat screen satellite TV with Irish and English channels and lots more, a DVD player, a radio/CD Player and unlimited access to wireless broadband. 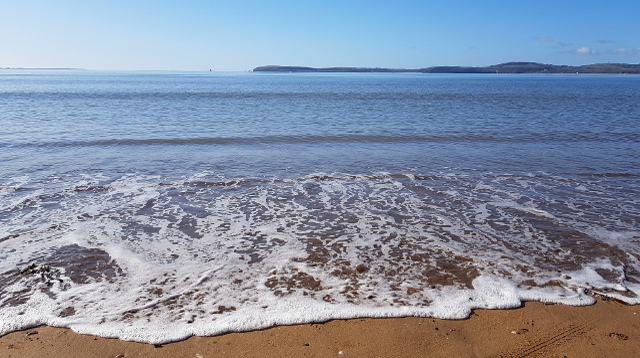 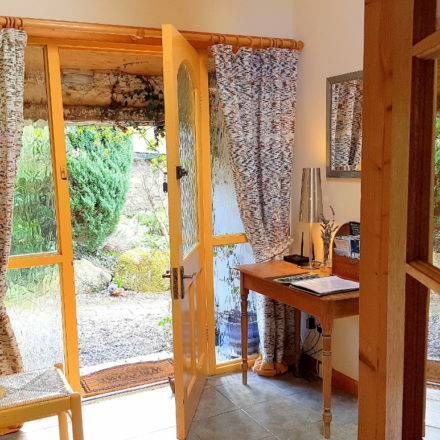 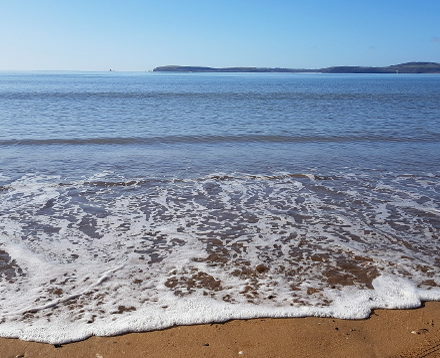 A very private south-facing patio off the kitchen has garden furniture, parasol and a BBQ and guests also can enjoy the shared garden at the front of the two bedroom self catering cottage.